BUCHAREST, ROMANIA - MARCH 17, 2014: Photo of a hand using linkedIn app on iphone 5C. LinkedIn becomes more and more used by Romanian employers. 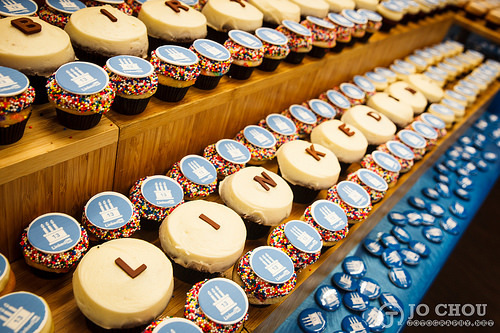 In case you missed it, last week Microsoft acquired LinkedIn for 26.2 billion dollars. Huge news in the tech space. And, huge news in the social enterprise software space as this move gives Microsoft a pretty big stake in the game (along with its acquisition of Yammer years ago). But, the big question for us: What does this move mean for communicators? It’s a question you’re likely to get from business partners and colleagues in the weeks ahead–especially since LinkedIn has evolved into a key communications tool for many of us. And it’s not surprising people are nervous. After all, this isn’t the first social acquisition for Microsoft. If you’ll remember, they acquired Yammer years ago–and that didn’t exactly propel that platform to new and exciting places. Disclaimer: I am not a M&A expert. I also don’t have a crystal ball. But, if I read between the lines from communications from Microsoft and LinkedIn the last week, I can probably say this: I don’t see any big changes to LinkedIn in the foreseeable future. Microsoft is sending a clear message that LinkedIn will continue to run as is with no big management changes (we’ll see, I guess). I tend to think the next few months will be spent with Microsoft and LinkedIn getting to know each other better. When I’ve been a part of these deals in the past, the first 6 months-a year were spent researching and gathering information about the other company. Discovering points of integration. Looking for intersections. I think that’s what the immediate future holds–not massive changes to LinkedIn. The big win here for LinkedIn? They now have access to the capital and cash that comes with a huge company like Microsoft. How does this impact communicators? For a while there, people were worried that LinkedIn wasn’t focused on improving the experience. In fact, some are concerned the experience isn’t all that great now. With Microsoft’s capital injections (supposedly), LinkedIn should have more cash to use to improve the user experience. That means more features and tools for us, as corporate communicators, to take advantage of. But, as mentioned above, I don’t see any of that happening in the near future. Think more 2017 than 2016. One obvious potential integration that impacts almost all corporate employees–LinkedIn’s social data could provide context for employees via email (i.e., Outlook). Might not seem like a big deal, but think about how many large organizations use Outlook for email (hint: A lot of them). Now think about the social context LinkedIn could provide on every email–current position, years at job, relevant experience, etc. That would all show up right within the email somehow. Doesn’t seem like a big deal, but little pieces of social context help employees build relationships. And when employees build stronger relationships with colleagues they’re more productive–and stay with the company. I’ve written about this baffling issue before–why so few executives even HAVE LinkedIn profiles. For those using Outlook email now would be the time to add one–and become a bit more active on the platform. Think about the scenario above. Now, think about how embarrassing that will be for executives when the social context clues that show up for them are…ZERO. It’s the same case I’ve been pleading for a couple years–executives don’t need LinkedIn profiles to look for a new job (clearly). They need them because they’re important employee communication channels–and RECRUITING channels. What if Microsoft figures out a way to rope in the newsfeeds of employees into a singular newsfeed for all employees across the organization–essentially parsing out just what employees of X organization are sharing, with employee communication messages mixed in. Voila–the employee communications newsfeed. Off the shelf. Might be a stretch, but I could see it happening. Those are my thoughts. What do you think the future holds for LinkedIn and corporate communicators based on this acquisition? This article originally appeared in Communications Conversations. This article was written by Arik Hanson from Business2Community and was legally licensed through the NewsCred publisher network.